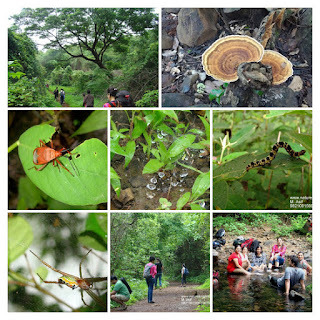 First Monsoon Trek, Exploring Rural Country, Hill Climb, Basic Level Rock Climbing and Mawla. First monsoon trek of the season. Location: Close to Panvel (Next to Prabalgad). Rating: Medium difficulty trek, but the rains make it more challenging. Rs.850/- per head. Includes (Transport, Road Tolls, Tech Support, Management Charges). 10% discount for members. Carry packed lunch, Breakfast will be at Restaurant, Evening Tea at Restaurant. 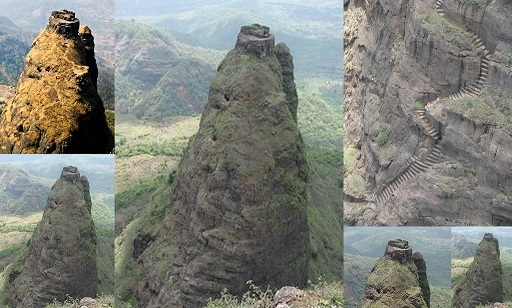 While reaching Thakurwadi village for start of trek, look out for Zoia resort, there's a road which goes left from there, and after walking about 1 hour on a broad village trail that leads you to the village at the foot of Kalavantin pinnacle (this village is common for Kalavantin durg and Prabalgad). From here the trail gets narrow and steep. One thing to make sure is that the shoes are good, in monsoon this patch can get slippery. After climbing for an hour more you reach the notch from where there are steps dug out in the rocks to climb the pinnacle from its southern end. The force of wind is freaking awesome at this notch, and throughout the climb. One gets to see few amazing landscape views as you climb higher. In all a very good climb for a beginner to experience a firsthand trek in Western Ghats. Also opportunity to checkout local village food at Prabalgad wadi, pictures of Village life and farms. Those who are not interested to climb up right till the sumit (The last part of the climb).. there is lots of interesting things to do at Prabalgad base village.. View from the plateau, exploring rural village, farms, jungle trails around the village, village food etc..
Attire: Cotton and comfortable (T-Shirt - thin Full Sleeves is advantage as it protect from sun light, Cap or Hat, Track Pants or Tights); You may carry one set of change clothes, 3 Liters of water per head); few snacks to munch (Preferably fruits / salad items / Chocolates / Energy Bars etc).. Carry your personal first aid kit. Common first aid kit would be carried by Nature Knights team.